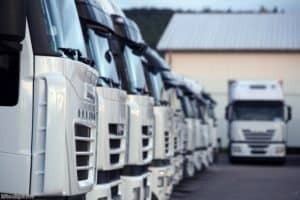 The Road Haulage Association (RHA) has highlighted a typical rise in costs for heavy goods vehicle (HGV) operators across the UK in the last 12 months. As part of the organisation's 2014 Cost Movement Survey, the RHA carried out a comprehensive breakdown of the key financial pressures on the nation's HGV sector and showed one of the largest areas where costs have risen has been in the purchase of new trucks to ensure businesses stay in line with the latest Euro 6 emissions standard (up ten per cent). Meanwhile, driver wages were shown to have increased by three per cent on average in 2014 and increased fuel usage has also served to push up costs. Perhaps surprisingly, falling oil prices over recent months have resulted in a position where overall fuel expenditure in this important area has actually fallen for many businesses in recent months. As a result, the annual average increase in operational expenditure for UK firms was shown to be just two per cent higher now than at the start of the year. RHA manager for logistics development Nick Deal commented: "These figures give an accurate snapshot of the UK haulage industry's position within the EU marketplace. "The chancellor, in the last Autumn Statement, once again froze fuel duty. However, with a general election in May, the RHA, together with campaign partners FairFuelUK, will continue to push for a 3 pence per litre duty cut." Indeed, the price of fuel will almost certainly begin to rise once more in the near future and when it does, many companies could find themselves facing unsustainable increases in their level of costs.